In addition to this, you can also generate password report in HTML/XML/TEXT format. 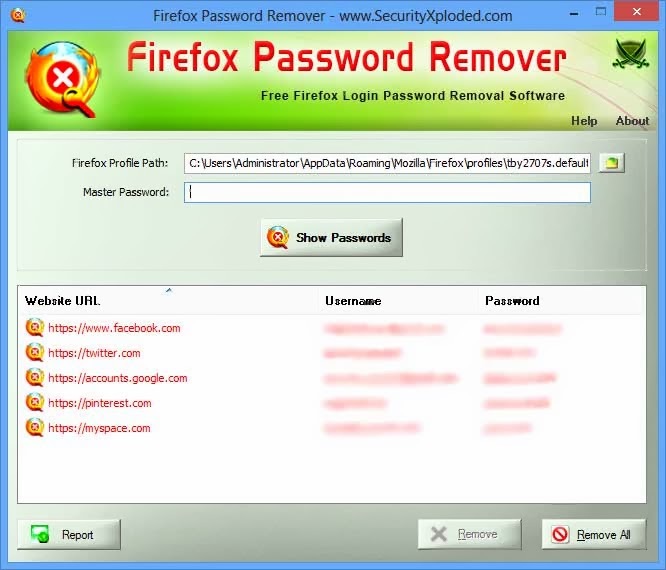 This is useful for creating backup before proceeding with deletion of passwords. Firefox Password Remover supports all versions of Firefox including latest version v25.0. It works on both 32bit & 64bit platforms starting from Windows XP to Windows 8.